I just recently suffered from a bout of the flu. And during the hours where I was sprawled across the couch not guzzling soup or sleeping away, I had a thought. I gazed at my Kleenex box and thought wow! That box is just ugly to say the least. This led to an idea. 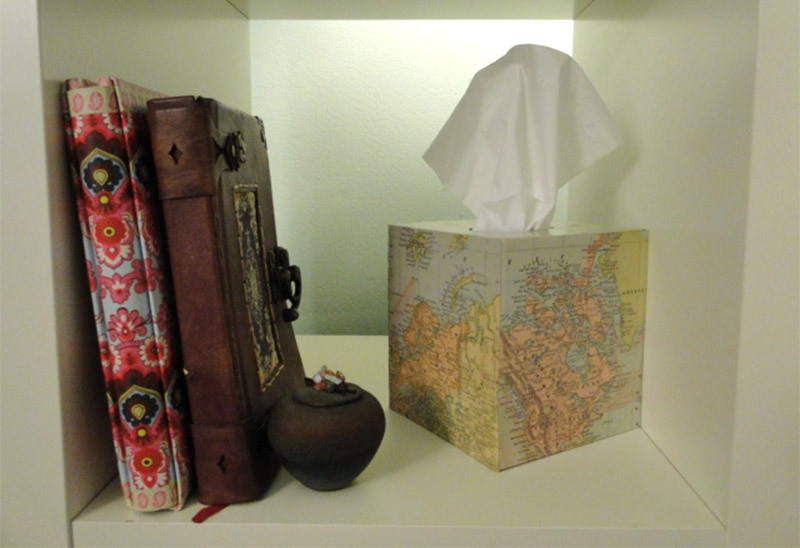 What if I could make my tissue boxes look a little bit more… appealing? I know what you’re thinking. Are people REALLY that bothered about your tissues not being in this perfect box? Maybe. Maybe not. 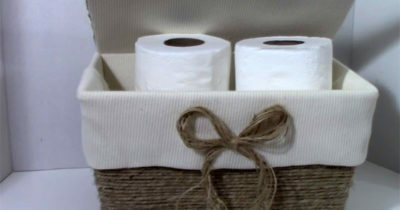 But, when searching the web I found I wasn’t the only person out there with this loathing of boring Kleenex boxes. 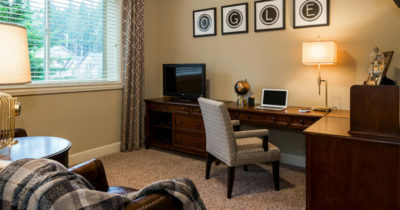 And I found some amazing ideas to share with you today! I am an avid traveller. I’ve been bitten by the wanderlust bug and love anything and everything travel related. 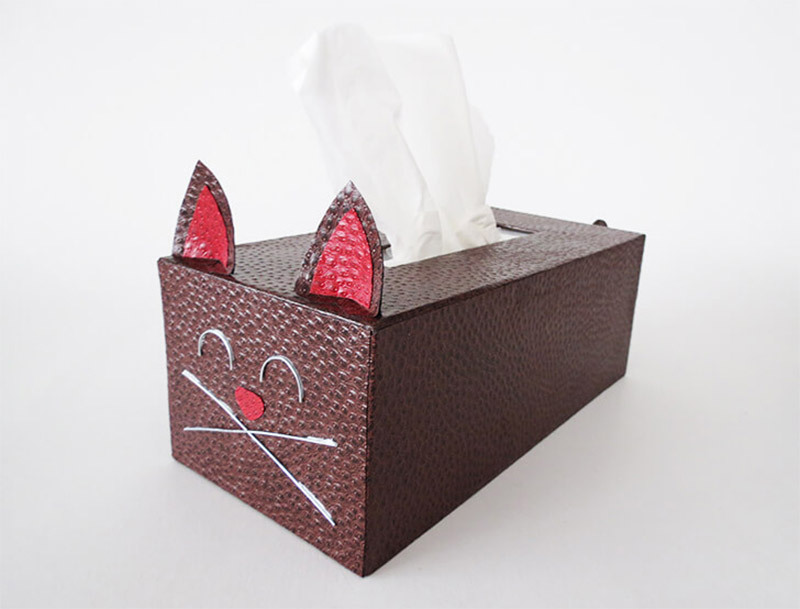 So it’s no surprise that I love this tissue box holder and need it in my home ASAP. 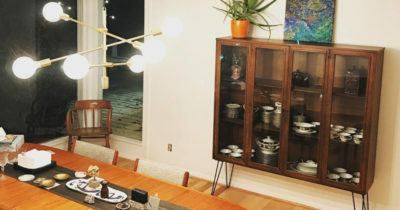 I also love Lauren’s dedication to the finer details in her home and love her obsession(read: passion) with cute tissue boxes. 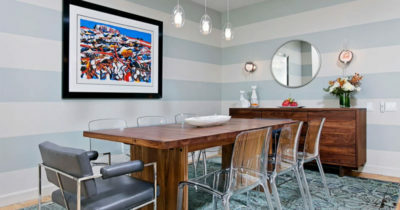 It’s the details like this that take your interior design to the next level. 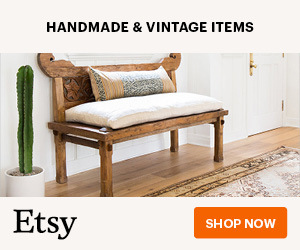 All you need for this is a world map of your choice, a small box, and some paper mache skills. I’m a sucker for a mason jar. 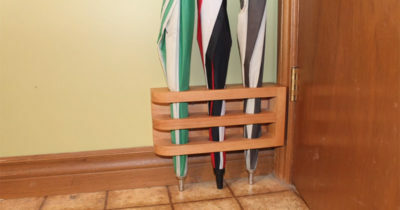 I use them for everything from basic storage to custom q-tip holders! They are just so versatile. However, I must admit I have never thought of using them to store tissues. 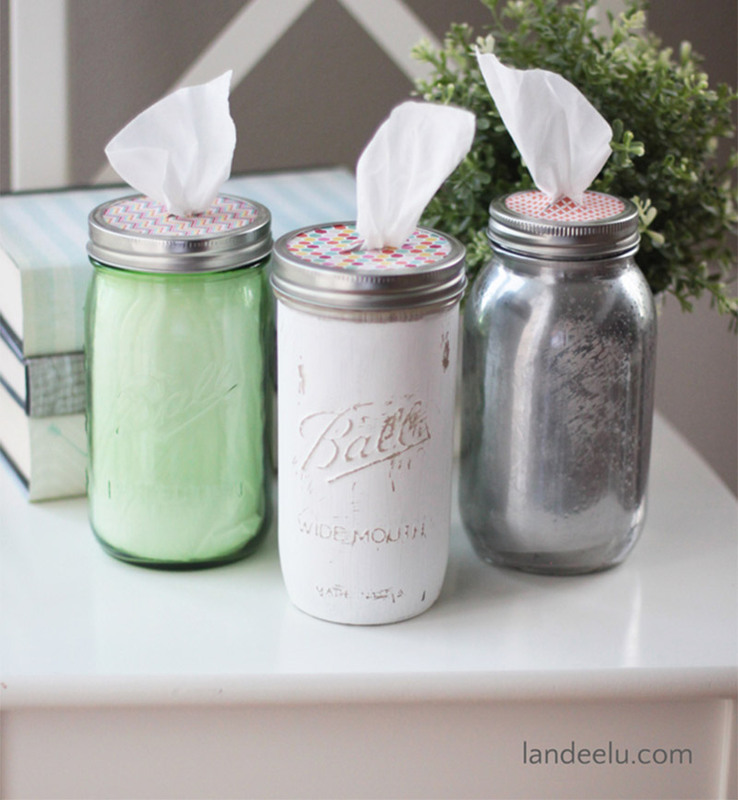 That is until I saw how cute these jars are that Landee made. All you need is a bit of scrapbook paper and some paint if you want to give your jars a little something extra. Personally I think I like them more without the paint. But hey, that’s just me. This is the perfect tissue box if you have kids. Pop it in their room and even get them involved in making it. It’s certainly the ideal rainy day activity on those boring weekends. You can make this out of the tissue box itself or any old box you’ve got lying around. Use some egg cartons for the eyes to give your box a bit of personality. Here’s one for all you animal lovers out there! 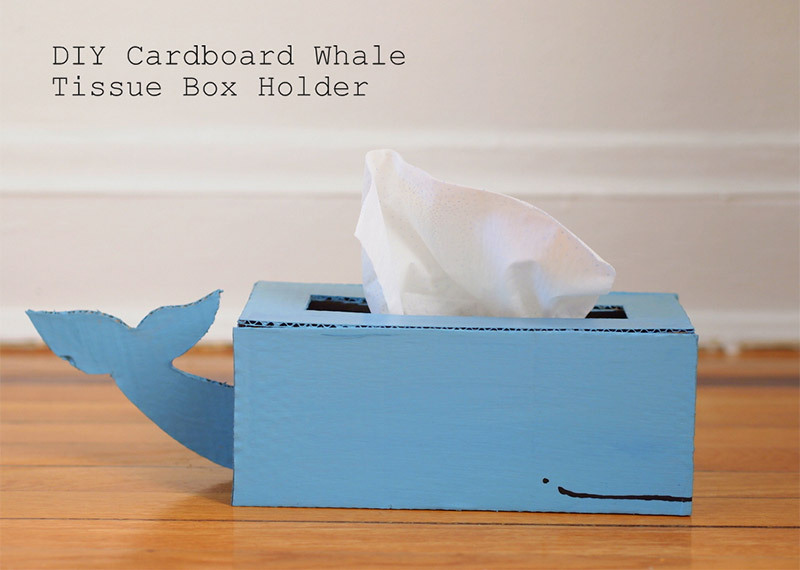 This whale tissue box holder is just too cute, doesn’t require a lot of creative skill and, once again, is something you can definitely get the kids involved with. You can make this from any old cardboard box you have lying around the home and some acrylic craft paint. If you’re not the best at drawing a whale’s tail(like me) then use a printable stencil online. 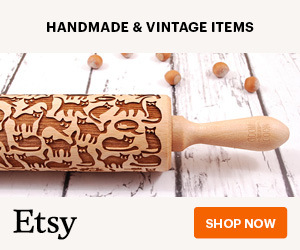 We all know someone who is obsessed with cats right? They need this tissue cover in their life. 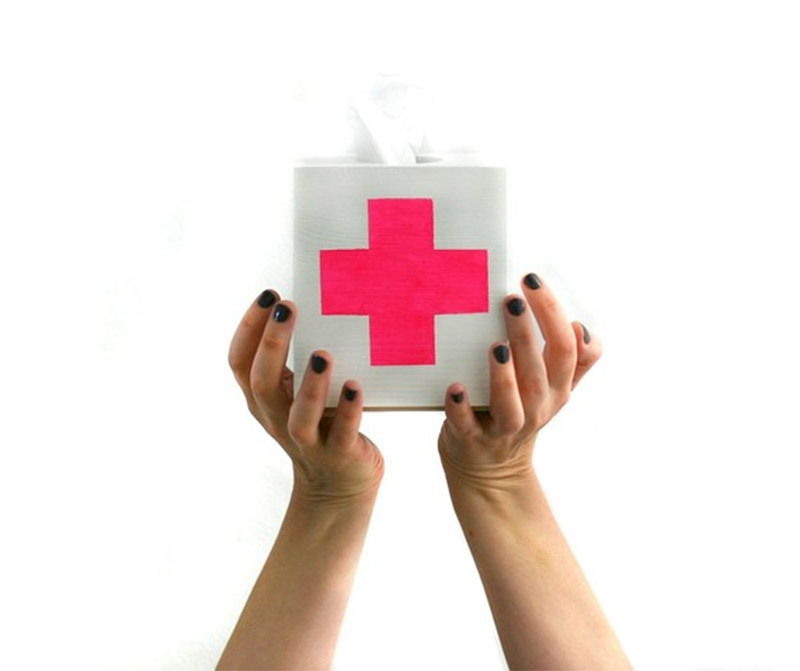 The key to this tissue box is the wrapping paper. Ama uses Skivertex paper which has a cool leather finish and gives the cat an awesome three-dimensional texturized effect. It really brings this kitty to life, don’t you think? Lisa Anderson was on a mission to create a tissue box holder that didn’t resemble her grandmother’s box straight from the 1930s. She assures us this super modern box design is real easy to make. And it is. 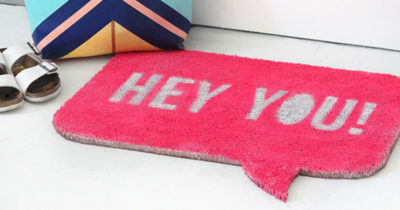 It’s the perfect addition to your bedside cabinet in this fluey season. The florescent pink cross gives it a great pop of colour and a fun vibe. Well, as fun as you can get with mucus paper. 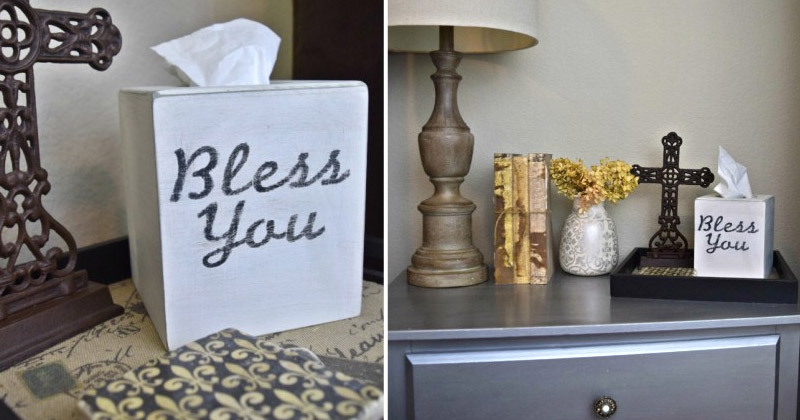 This gorgeous chic tissue box takes just 30 minutes to make and really is 1000% better than those awful trashy-looking cardboard boxes you find in the store. All you need is a little bit of white vinyl (or any color that you prefer) and some gold leaf. And of course a few hours of time to put this thing together. Who here loves the Big Bang Theory? Better yet, can you solve a Rubik’s cube? 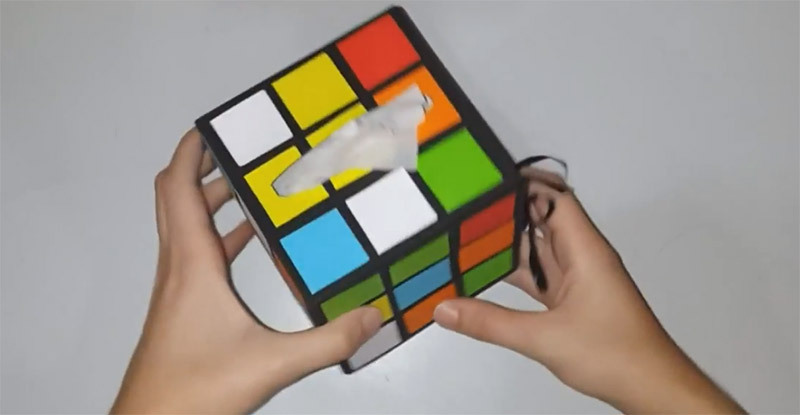 If yes is the answer to either of the above then you’re sure to love this Rubik’s cube inspired tissue box from the Nutty Crafter. 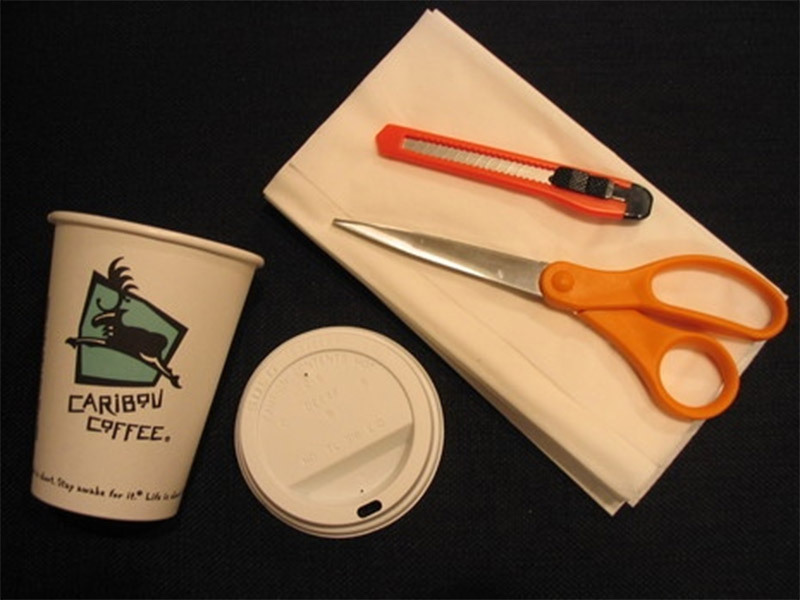 It’s super simple to make(you’re just cutting and sticking). But with all those squares you’re going to need to have a bit of patience. Save this one for a rainy day. I feel my inner geek coming out at just the thought of making this one! 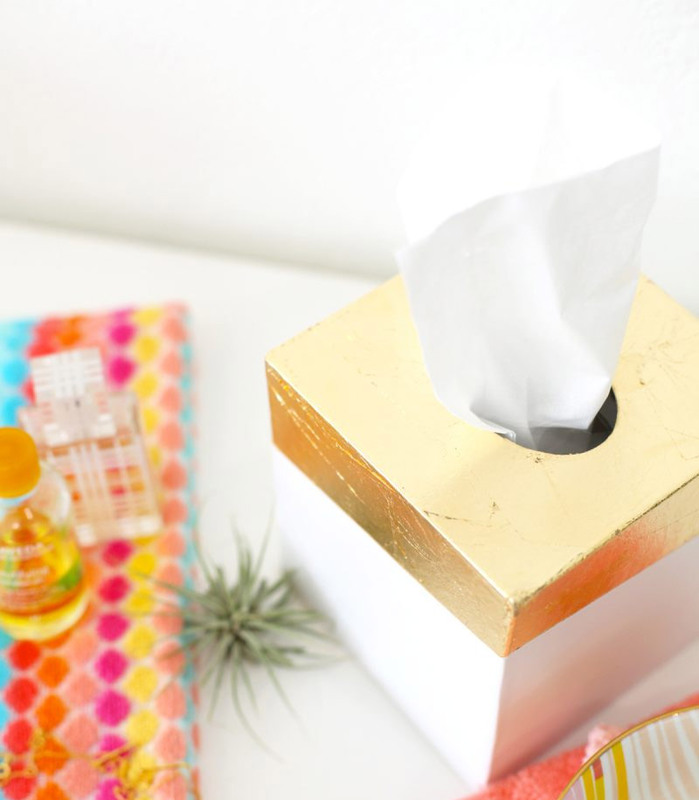 This tissue box is crazy easy to make yet makes a big impression. I was wow’ed by this one and can’t believe I didn’t think of it myself. Especially with how many trips I make to Starbucks in any given week(don’t judge). This is recycling at its best. 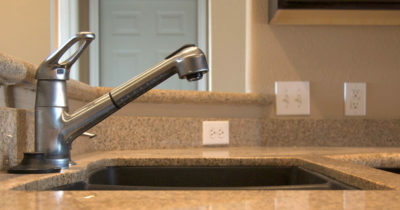 Are your loved ones plagued by seasonal allergies? Or do you just have kids who get super messy in the car and you just can’t understand how? This is the tissue box for you. 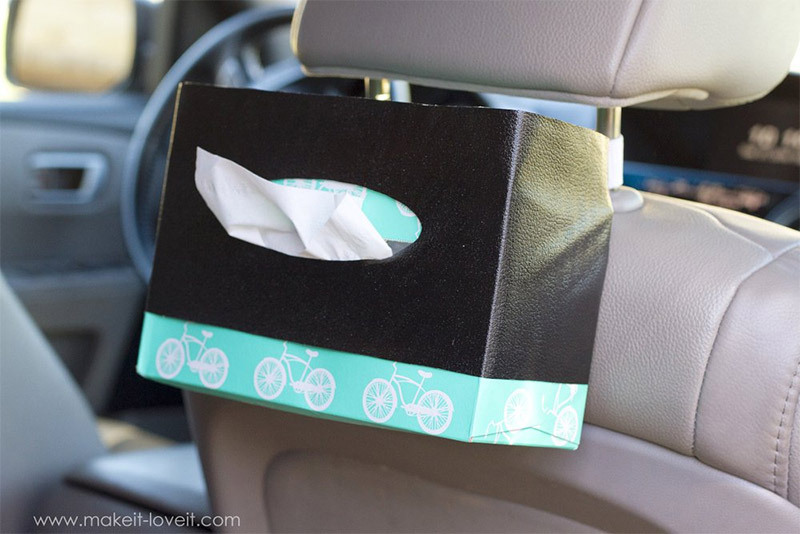 And it’ll surely save you from a lifetime of lost tissues and trampled boxes strewn across the car. 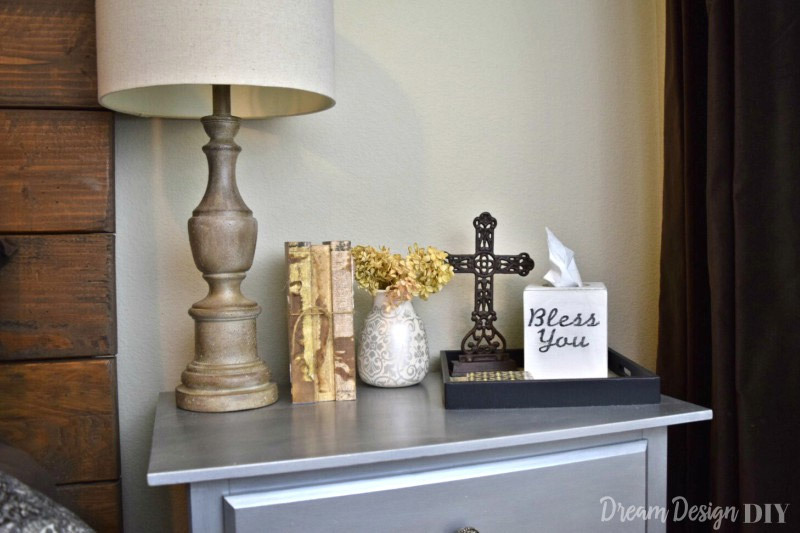 To finish off here we have this great wooden tissue box idea from Tiffany. Who, frankly like myself, was fed up with those tacky tissue boxes ruining her décor. Tiffany bought herself a wooden box, painted it, and used some stencils for the writing. Super simple and quick. However if you’re handy with a saw you could make the box yourself. 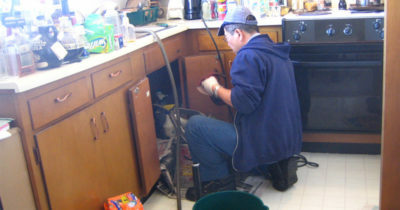 Plus it’ll keep you a little busier for longer on those rainy days. P.S. I love the play on words in Tiffany’s example. Super fun!